Winning. Coming first. Being number one. It’s something we all aspire to at some time or another in our life. And what better way to value finishing at the top? The presentation of awards. There’s nothing quite like being recognised for winning than having an award bestowed upon you. It’s a formal acknowledgement that your success is recognised, and that your achievement is greatly valued. When it comes to the automotive sector – and tyres in particular – there’s only one company that year after year wins the top awards. That premium tyre manufacturer is the world’s best – Continental. 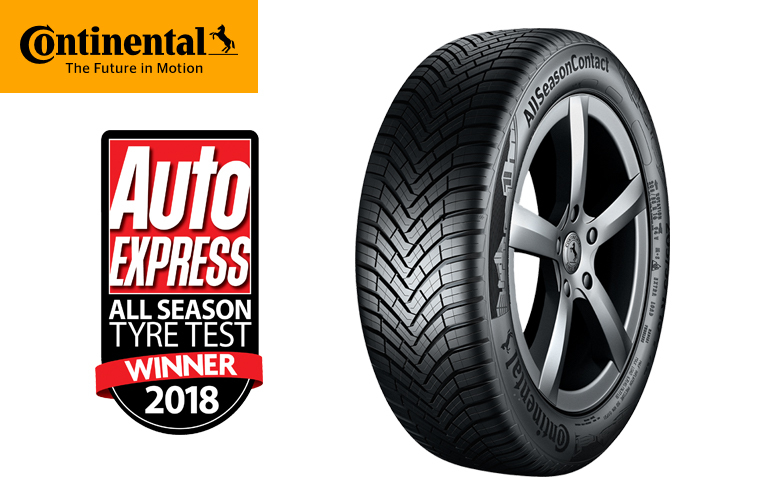 And it’s not just any awards they win; we’re talking the Oscars of tyre awards, the big one that all tyre manufacturers covet and dream of winning the most; the Auto Express Tyre Test Awards. Presented by the UK’s biggest selling weekly car magazine, the award is offered to the very best summer, winter and all-season tyres. Every year there’s an award for each tyre category, with competition being very fierce. To win one award is an achievement, two of them incredible. But to win all three awards across each of the categories – in a single calendar year – well, it’s simply unheard of. 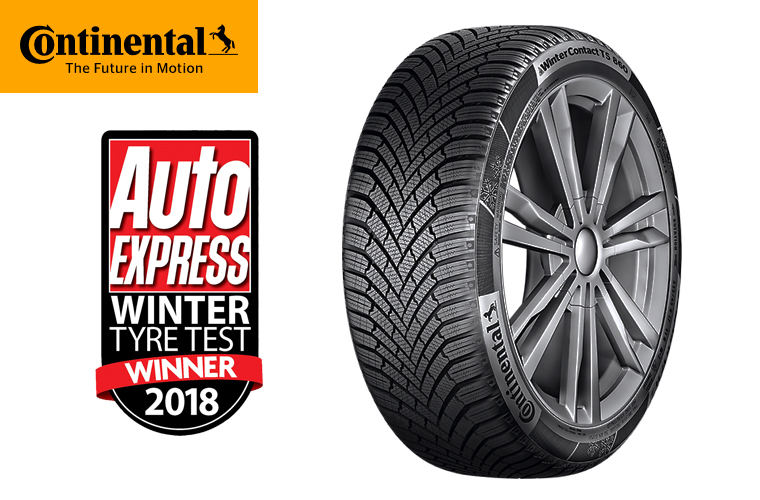 That is until Continental stepped up and delivered three outstanding tyres for UK drivers; the PremiumContact™ 6, the WinterContact™ TS 860, and the AllSeasonContact™ (Continental’s first for the all-season tyre segment). These three high-quality premium tyres completely blew the competition away. “The PremiumContact™ 6 was the best tyre to drive in both wet and dry, there was a liveliness to its handling that no rival could match and few could get close to. In the wet, the PremiumContact™ 6 was in a league of its own, the sharpness was there on the wet track with a strong front end pulling you through turns – where rivals just pushed wide. British motorists have enjoyed the benefits of Continental’s high-quality premium tyres for many years. It’s all due to their continued investment in research and development, the result of which is a steady stream of new and improved tyres. Anyone who already has Continental’s fitted to their vehicle will need no reminding of the precision performance and safety characteristics that these tyres provide – ensuring they can brake, overtake and corner with supreme confidence on any road surface – dry or wet, in warm temperatures or cold. If you don’t have Continental’s fitted, it’s time for a rethink, isn’t it? Premium tyres completely outperform budgets. This is also the case with part worn tyres which – frankly – can be extremely dangerous, and are a false economy. Why? 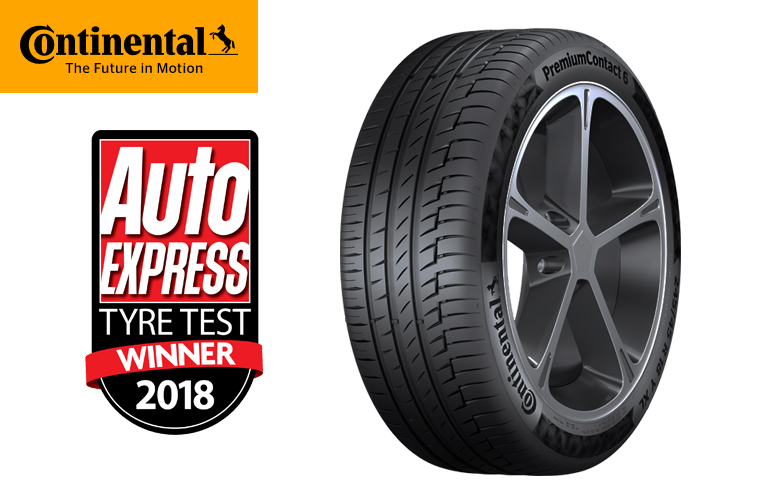 Because in exact like-for-like comparison tests – like those undertaken independently in the Auto Express Tyre Test Awards – premium tyres always outperform their budget rivals – without fail. 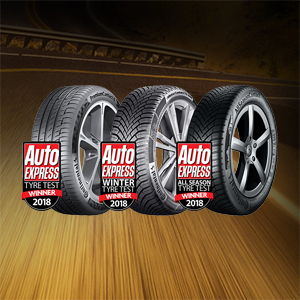 Premium tyres provide superior grip, handling, performance and safety characteristics. It’s little wonder that a third of all cars that roll off the production lines in Europe are fitted with Continental OE (Original Equipment).